Sometimes, something good comes out of a seemingly ugly or evil event. The JNU episode, though unfortunate, has given rise to a debate on what constitutes a nation. 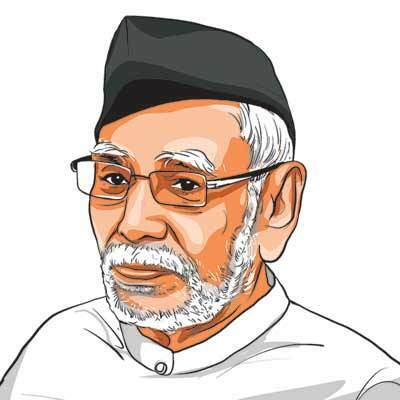 The confusion is due to the present-day formation of a one state — one nation reality. But the two concepts need not be congruent. One state can include many nations, so also one nation can consist of many states. For example, the state of the USSR, till a quarter of a century ago, included many nations, like Latvia, Georgia, Kazakhstan, Armenia, Tajikistan, Turkmenistan, Uzbekistan, etc. The state of Yugoslavia, too, had comprised of more than one nation. Our India, that is Bharat, that is Hindustan, was one nation from time immemorial but contained many states. At the time of the invasion of Alexander in the 4th century BCE, there was one Nanda empire but, besides that, there were many republics. Lord Buddha was born in a republic. In the 7th century CE, King Harshavardhan ruled over the territory to the north of the river Narmada; in the south, the king was one Pulakeshin. Germany had been a nation for many years. But from 1945 to 1990, there were two states. All those who follow the legal framework become its citizens. A nation means the people. The people are the nation. There are three main conditions for people to constitute a nation: One, their sentiment for the land in which they live. Those who believe that the land is their motherland constitute a nation. The Jews were driven out of their motherland and for 1,800 years, they lived in different countries. But they never forgot that Palestine is their motherland. The second condition is a common history. After all, what is history except certain events that happened in the past. Some of them may lead to a feeling of pride and others may cause shame. Those who have the same feeling of joy or grief about the events in their history constitute a nation. The third and most important condition is adherence to a certain value system, that is, culture. In all nations of the world, these three conditions prevail. It is in our hapless country alone that there is controversy about these conditions. Who are the people who take pride in uttering a slogan like “Bharat Mata ki Jai” or “Vande Mataram”? Who are the people that stretch their history to Rama, Krishna, Chanakya, Vikramaditya, Rana Pratap and Shivaji? And who are the people that share a certain value system? One major principle of this value system is the appreciation of plurality of faiths and religions. These people are known, world over, by the name of Hindu. Therefore, this is a Hindu nation. It has nothing to do with whether you are a theist or atheist, whether you are an idol-worshipper or against idol-worship, whether you believe in the authority of the Vedas or some other sacred book. This was understood by the framers of our Constitution. Therefore, Explanation II under Article 25 states that “reference to Hindus shall be construed as including a reference to persons professing the Sikh, Jaina or Buddhist religion”. Why should this not be applicable to those who profess Christianity or Islam? B.R. 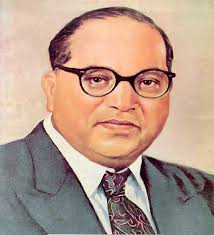 Ambedkar moved the Hindu Code Bill in Parliament, and it is applicable to Sikhs, Jains and Buddhists. Why not to Christians and Muslims? To become a nation, Renan emphasises that you don’t need to have one language or one religion, or a community of economic interests. You only need the spirit, the sentiment, the value system. Can one abuse this connotation of “nation” as narrow or dangerous? This entry was posted in Hindu Dharma, Nation and tagged Ambedkar, Hindu Nation, Hindutva, Indian Constitution, Indian Nation, RSS on March 26, 2016 by arisebharat. Duty Focus. Can A Nation Progress Without It ? 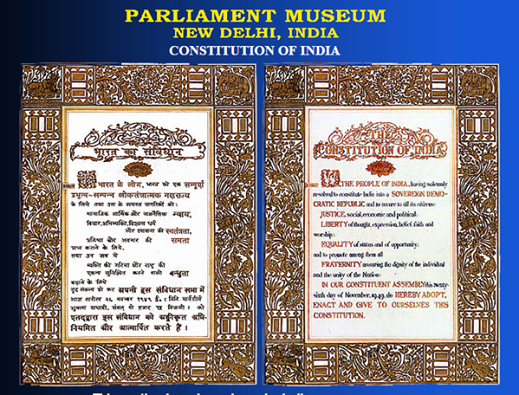 This entry was posted in Nation, Video and tagged Fundamental Duties, Indian Constitution, National Duty on February 25, 2016 by arisebharat. 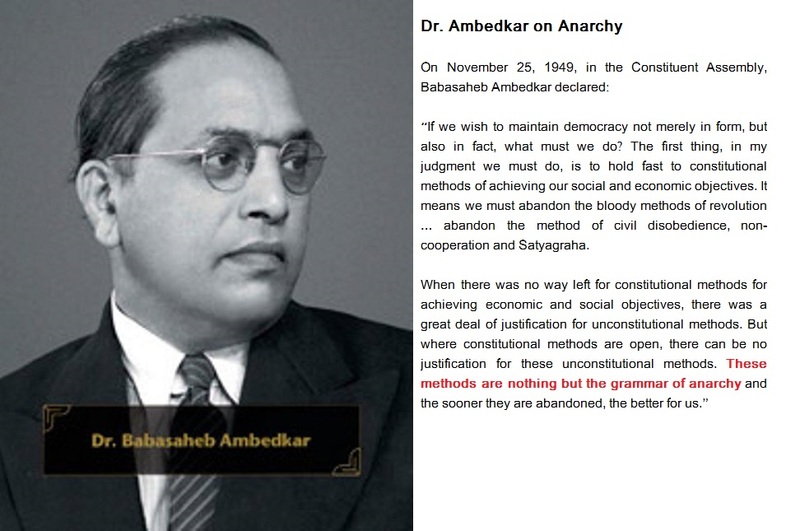 As we now have the Chief Minister of Delhi, Arvind Kejriwal announcing that he is an “Anarchist”, it would be good to understand what Dr.Ambedkar and other constituent assembly members said about anarchy. This entry was posted in Nation and tagged Anarchy, Arvind Kejriwal, Dr.Ambedkar, Indian Constitution on January 20, 2014 by arisebharat.